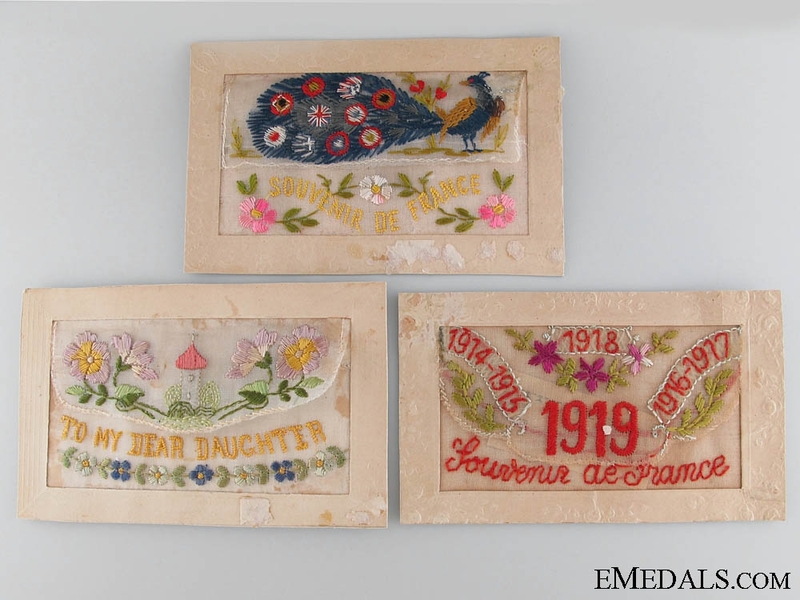 A 116th Battalion Father & Son Memorial Group - Father: Private Thomas Millar: 1914-1915 Star (406586 Pte T. MILLAR. 1/CAN:INF. 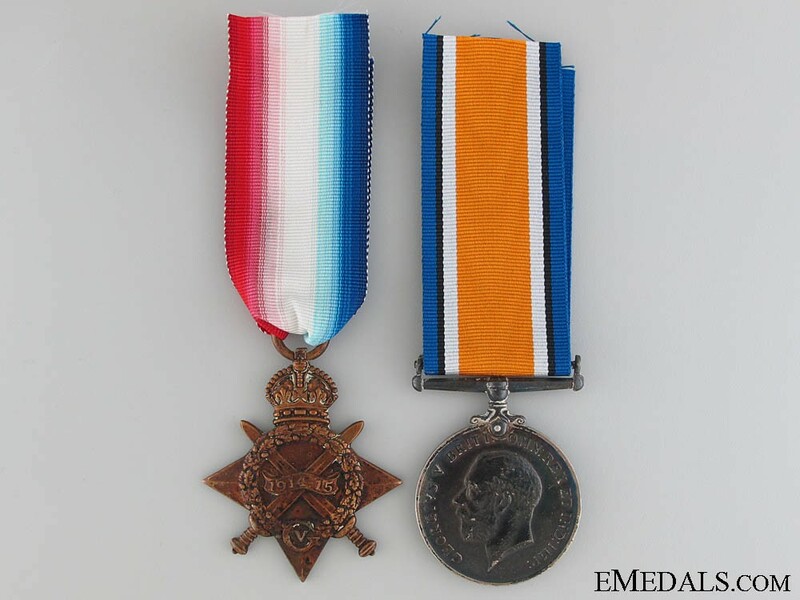 ); and British War Medal (406586 PTE. T. MILLAR. 1-CAN.INF. 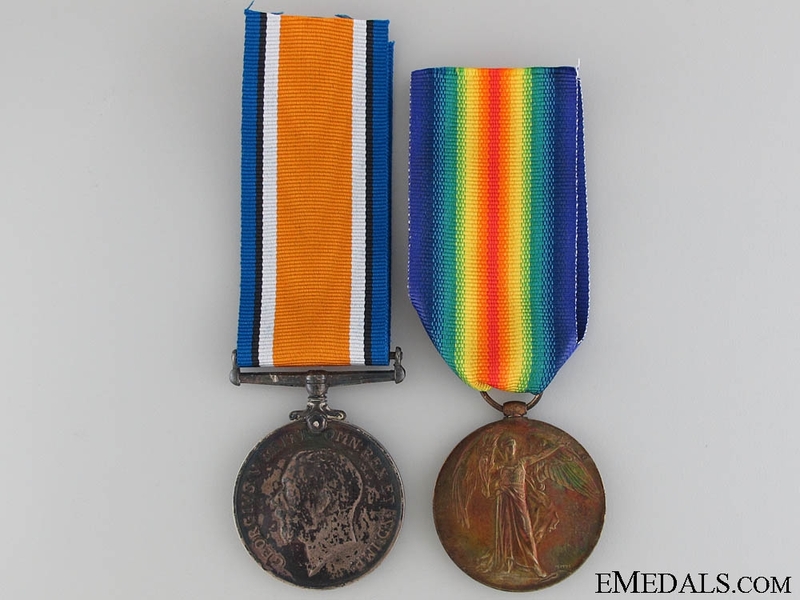 ); Son: Lance Corporal: British War Medal (757380 L. CPL. C. MILLAR. 116-CAN.INF. 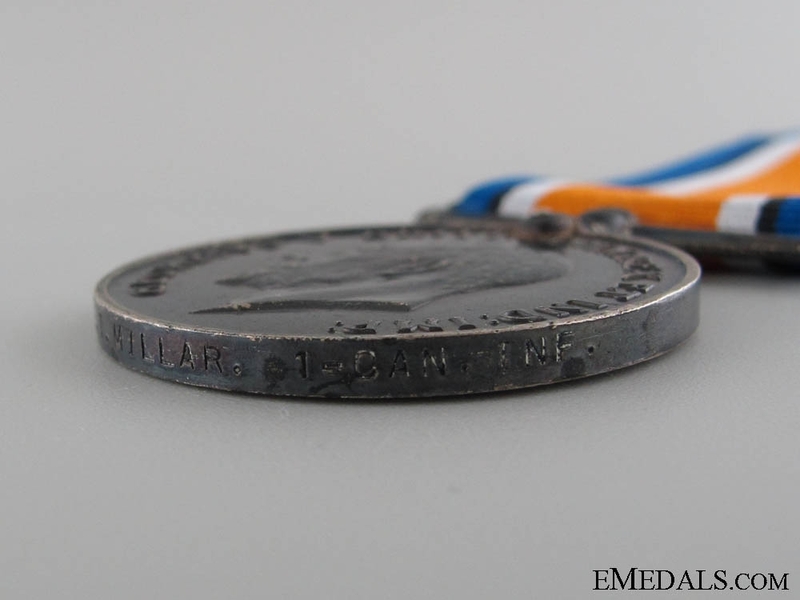 ); Victory Medal (757380 L. CPL. C. MILLAR. 116-CAN.INF. ); and Memorial Plaque (CHARLES MILLAR). Un-mounted, dark patinas on the BWM, paper and glue residue on the reverse of the MP from previous board mounting, light contact, better than very fine. 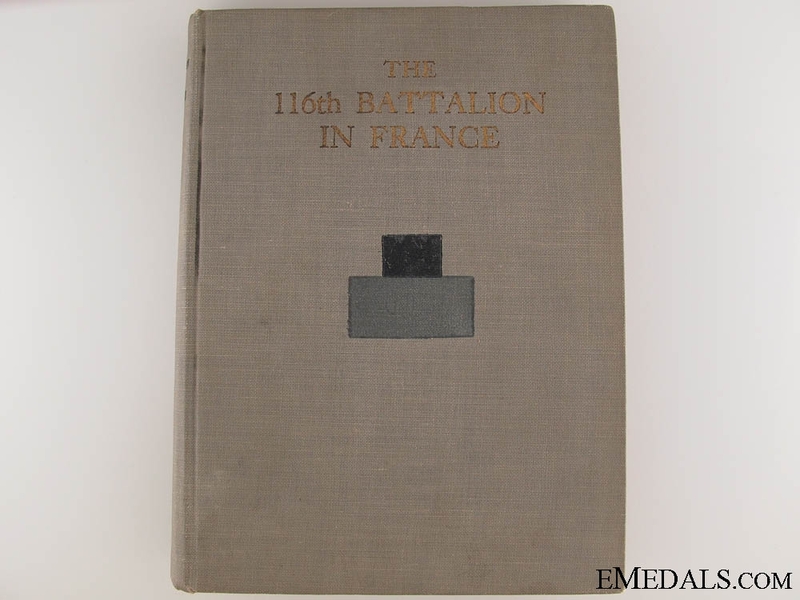 Accompanied by a Book entitled "THE 116th BATTALION IN FRANCE" (hardcover, published in 1921, printed in black ink with photographs, 116 pages, 160 mm x 210 mm x 18 mm); Two Photographs: one of 116th Battalion Memorial Plaque (black and white, 202 mm x 252 mm, central vertical crease and cracking in the corners), the other of Lance Corporal Charles Millar in Uniform (black and white, 72 mm x 97 mm, upper left corner torn off, glue residue on the reverse); and Three Needlepoint Postcards (inscribed "1919 Souvenir de France, To My Dear Daughter, Souvenir de France" respectively, 85 mm x 135 mm each, glue residue on their reverses). 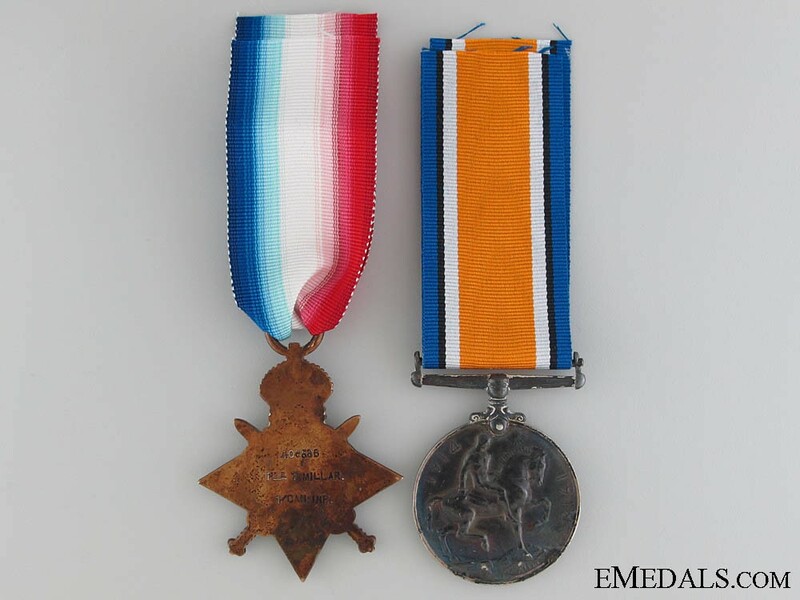 Footnote: Father: Private Thomas Millar was born on December 9, 1874 in Saltcoats, Ayrshire, Scotland. 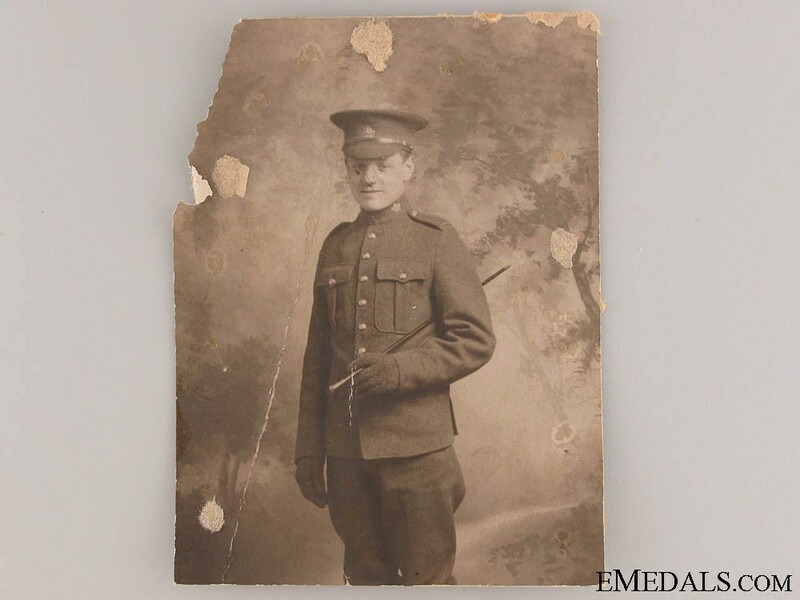 He signed his Attestation Paper on April 15, 1915 in Hamilton, Ontario, at the age of 40, naming his next-of-kin as his wife, Jane Millar of Hamilton, stating that he had no previous military service, that he was married and that his trade was that of Stone Mason. 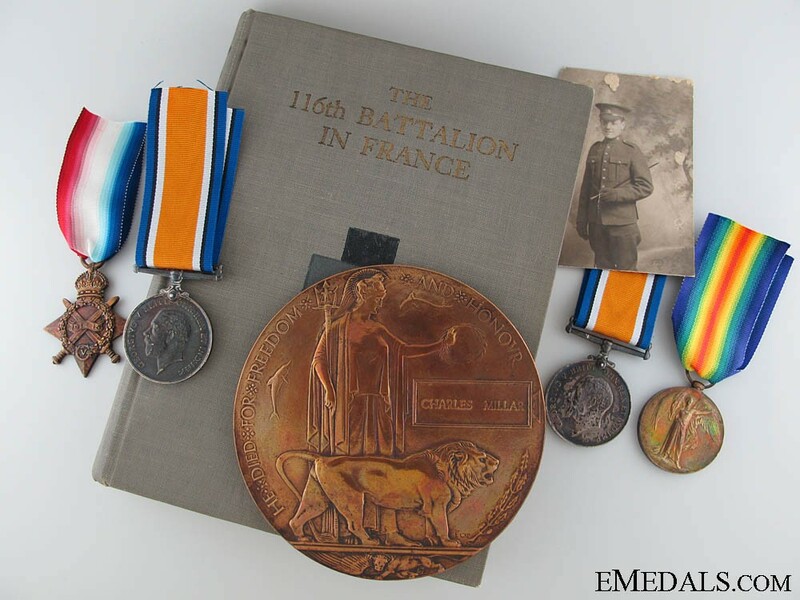 Once in the French theatre, he was transferred to the 1st Canadian Infantry Battalion, then returned home to Canada after the war. Son: Lance Corporal Charles Millar was born on July 1, 1897 in Glasgow, Scotland, the son of Thomas Millar and Jane Millar. He signed his Attestation Paper with the 120th Infantry Battalion "13th Royal Regiment, Hamilton Battalion" on December 9, 1915 (ironically, his father's birthday), at the age of 18, naming his next-of-kin as his mother, Jane Millar of Hamilton, stating that he had two months' previous military service with the 13th Royal Regiment, that he was not married and that his trade was that of Press Hand. The Battalion was raised and mobilized in Hamilton, Ontario under the authority of G.O. 151, December 22, 1915. 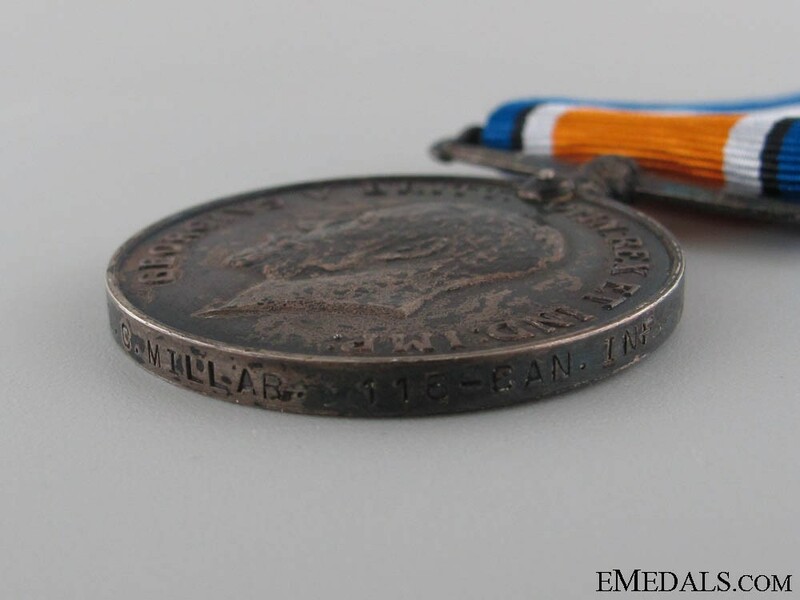 The Battalion sailed August 14, 1916 from Halifax, Nova Scotia, aboard the S.S. Empress of Britain, under the command of Lieutenant-Colonel D.G. Fearman with a strength of 32 officers and 838 other ranks, arriving on the 23rd. 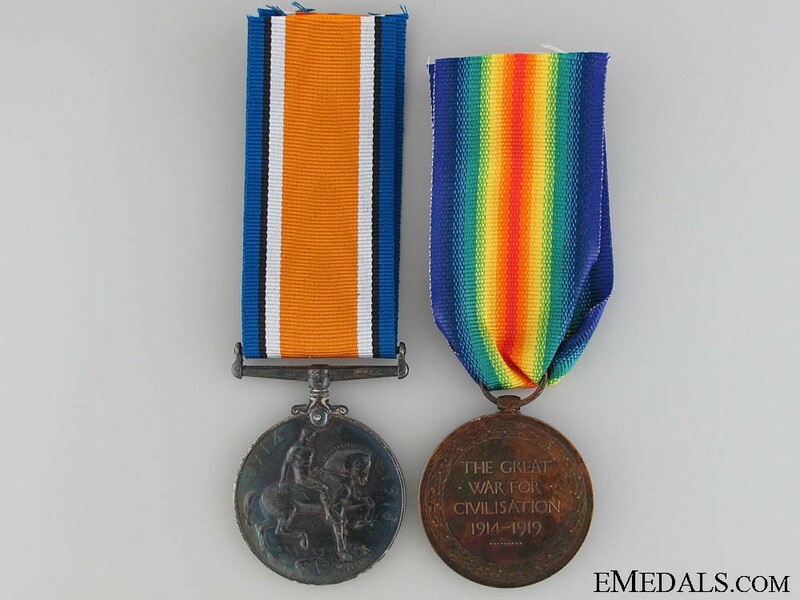 In England, the Battalion was absorbed into the 2nd Reserve Battalion. 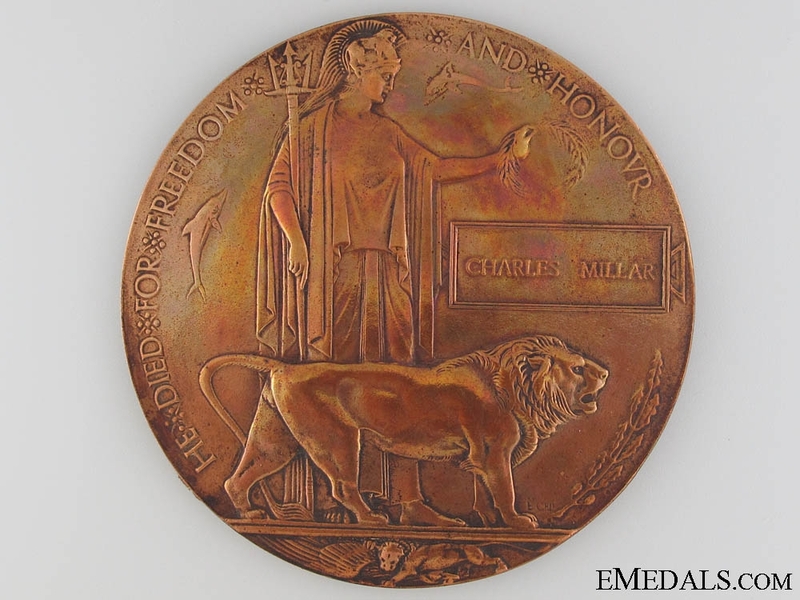 Charles Millar was later transferred to the 116th Infantry Battalion in the French theatre and was Killed in Action at the Battle of Arras on August 27, 1918, at the age of 21. He is buried at Vis-en-Artois British Cemetery, Haucourt, Pas de Calais, France, Grave Reference: VII. C. 2.